Talking to Restaurant India, Rashmi Daga, Founder, FreshMenu talks about the idea of delivering everything fast and fresh. Founded in 2014, FreshMenu is creating a buzz in the market with its innovative and freshly cooked meals. 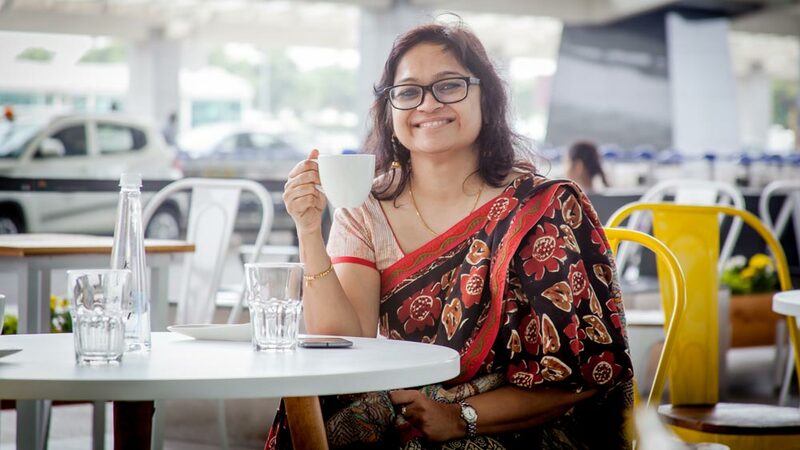 After working with a couple of start-ups like TutorVista, BlueStone and Ola Cabs, Rashmi Daga, an alumnus of the IIM, Ahmedabad started the concept of FreshMenu which she has always dreamt off. It is an online restaurant delivery platform that delivers chef-cooked fresh meals in a box to customers residing within a 5 kms radius of their satellite kitchen. One can access the menu through its website, app, or food aggregators like Swiggy and Zomato. What was the whole idea behind FreshMenu? I’ve always dreamt about owning a listed company. I worked at a start-up and then bootstrapped a start-up in 2011. The idea of FreshMenu came to me because the need for good quality, fresh, fast and accessible food that could be delivered to your doorstep seemed like a requirement nobody was catering to. Brief us about your business model. Our business model has always been ensuring that our consumer is less than 5kms away from a kitchen, ensuring fresh food that can be delivered as fast as possible. We cook our own food and deliver it, ensuring we are in control of the whole process thereby ensuring quality. What challenges did you faced while stepping into the market? No different from any other entrepreneur. I actually think I had it easier than a lot of other people as we were based in Bangalore. The city was already clued-in to the idea of start-ups and therefore things moved pretty smoothly. Our business model and our constant interaction with our customers ensures we’re always ahead in the game. From launching brand new dishes almost every single day, to curated menus for keto, low carb-high protein enthusiasts, to bringing back heritage grains into our daily meals – we like listening to our consumers and tweaking our menu around their requirements. What is the role of technology in your overall operations? Technology drives us. Being a cloud kitchen, our business comes mostly from online orders sourced through our own website, app and our presence on other food aggregators. Technology also helps us run our delivery process successfully. I cannot even imagine FreshMenu without apt technology. How do you decide on your pricing? The idea is to always keep our prices as competitive as possible. Nobody considers our pricing as exorbitant and we’d like to keep it that way. The more accessible the price, the more comfortable the consumer. We are expanding into a few more cities soon, but before that we’re excited about adding new kitchens in our already existing markets. We recently opened a new kitchen in Chakala, Mumbai and are glad that we can now serve in areas like Santa Cruz, Kalina and surrounding neighbourhoods. In FY17, FreshMenu marked 124 percent growth in revenue to Rs 70.9 crore from Rs 31.7 crore last year, as per documents filed with the registrar of companies. With a strategic expansion plans and dedication towards the quality of food, Daga is all head high towards the glorious growth of the company. In 2017, FreshMenu opened its first physical outlet as a front-facing outlet at Bengaluru Airport, however there is no development on the physical outlet known yet. Why Employers Should Invest in Employee Training?.. How Mumbai has extended its Culinary Net.. The industry of everlasting youth.. Healthy Snacking Trend in Business..